Currently in the world of digital marketing, page speed is indeed one of the most crucial factors. 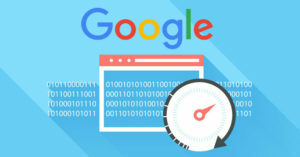 In fact, page speed is such a thing that has got a long-lasting effect on how long your page visitors remain on your website, the number of them who are potential conversions, the amount you pay for the CPC basis in the field of paid search and also on where your search engine ranking is. However, it is sad enough to note that the websites perform pretty poorly as long as page speed is concerned and this has a direct bad impact on the revenue of the site. If you research the web, you will find several things that can be done about improving your page speed and boosting conversion rates. Though this is one of those steps which seem to get pushed back, you should know that investing time in it will open up more opportunities. So, what are the steps that you can take to boost your page speed? Read on. It’s true that all of us are trying our best to save money as the subscriptions to SEMrush, Raven and such other tools add up on our budget very soon. So, as an immediate solution, one way in which people save money is by choosing a cheap web hosting company. Your website will definitely be available most of the time but the loading time of the pages will be so slow that majority of your visitors will feel irritated to stay on your site. As people want to remain on your site for as long as they wish to be, you should ditch the web hosting budget companies to increase conversions. As browser caching is allowed, the elements of a specific page remains stores in the browser of the visitor and hence next time you visit the same site or another page of the site, the browser loads the webpage without sending any further HTTP request for all those cached elements. As the first page of the website is loaded and all the other elements are stored in the cache of the visitor’s browser, few new elements require being downloaded on the next pages. Hence, if you’re new into the website business and you’re hunting for feasible tips on improving the page loading time of your website, make sure you follow the above listed points. Once the page loading speed is improved, this can also have a great impact on the conversion rates.